Often my readers write to me and ask me how they can pray for me. I don’t always know how to answer them. That is not a problem as I write to you today. My list is long and the need is great, but….my heart is full. So full of God’s peace and so fully His. I’m a girl who is lost in God’s love. You see, a hard summer of stormy trouble has taught me to walk on the water. Before I plead for your intercession, might I tell you the secret of wave walking? It started with a betrayal. The kind that leaves you numb and in a shocked state of disbelief. Do you know the kind? Maybe a roommate has failed you or a boyfriend has rejected you. Or your mom has proven yet again that she cannot parent. We often pay the bill for another’s greed or selfishness. I started my summer with a need to double my work hours. If you read my “empty bucket” blog at the beginning of the summer you know I was already rung dry and empty from overload. How would I work 14 hour days? And I tried so hard to be good. I said good things about others even when it was hard. Held my tongue when I didn’t think I could. Intended to make righteous decisions. And I choose integrity when I didn’t feel like it. But I grew more and more weary. My emotional bucket began to crack from the weight of dryness. One day, I decided God already knew what was in my heart. Why not let it out in front of him, if no one else? As C.S. Lewis once said, “Bring to God what is in you; not what should be.” That settled it: I decided to barf my emotional heart out. A shouting matching with God ensued in my living room. It might have sounded familiar to him. Like Job questioning. And God gently but firmly answering. Always so very right. Always wiser than my wonderings. I was losing this shouting match. There was nothing left to throw at him. Everything had been answered and he just wanted my obedience. My contentment. Nothing would change. Would I believe he was enough. That God was sovereign as I’d written about. Did I know in my deepest being that he works all things together for good? With nothing left to ask, my shouting match with God came to accusation. And there really wasn’t much to say but this: “Well, you could have at least sent $5000 more in my Kickstarter campaign. You could do that in the next five minutes. Why didn’t you do that?” And then, I slammed the door to my house and stomped my way to the barn. The horses looked at me as if they knew. Surprise in their eyes at the anger they felt steaming off of me. I could not go back in that house. He was in there. In all His rightness and fury, I had mentally left God in there. What had I just done? Quietly, I hung my head in surrender and apologized. I asked God if he might forgive my childlike tantrum. He invited me back in to my home. Really? My thumbs punched out a confession. I saw him then. Walking to me in the storm. His hands were stretched out to me in love. For a moment, I was ashamed. But who can look into that love and feel shame. Let no one…and I mean no one…ever do that. His arms are for all. And how firm the hold. I stepped on to the water right then and there. With the waves high above my head. And it has been peace since that moment. I’ve wrapped myself in His presence like never before. The storm has only grown in fury. That new Crazy Hair Tour wasn’t easy to produce and it got a little…well, hairy! Still working out details. My dear precious Lexi is sick. Fatigue. Dizziness. Nausea. No diagnosis. A mother’s heart can barely hold the weight of not knowing. Then, the darkest day. The eye of the storm. My beloved husband stricken with a mini-stroke. He needs rest. I see none in sight. But on that day—he at the hospital and me with my baby girl at a doctor—I knew how very held I was. I looked down. I was still standing on the waves. How unsteady they were, but I felt none of it. It was then that I knew how much joy and strength I’d been walking on since my shouting match. How getting it all out, invited me to be all in. How the Word had been my daily food and worship my drink. And my body was not weary. My soul was not fearful. The secret to wave walking seems to be admitting how dark the night is and how high the waves have come. It’s then that we can understand how desperate we are for Him, that only reaching out for him…no matter the risk…will quiet the storm in your heart. Please pray for my ministry and my family in this season of great need for it. But before you lift up a single request on my behalf, rejoice with me. Thank him for his presence and his ability to calm the storm the very moment he knows I’ve learned all he has for me. For us. Please ask him to heal my Lexi. And my sweet husband. And pray not that he would protect my name or my ministry, but that He would protect His name as I honor it. nonSpeed Dating For Dummies: are you embracing submission? Previous articlenonSpeed Dating For Dummies: are you inviting others to the feast? Praying for your family, too. I know it’s been a tough few weeks. May healing come down from heaven for your dad! 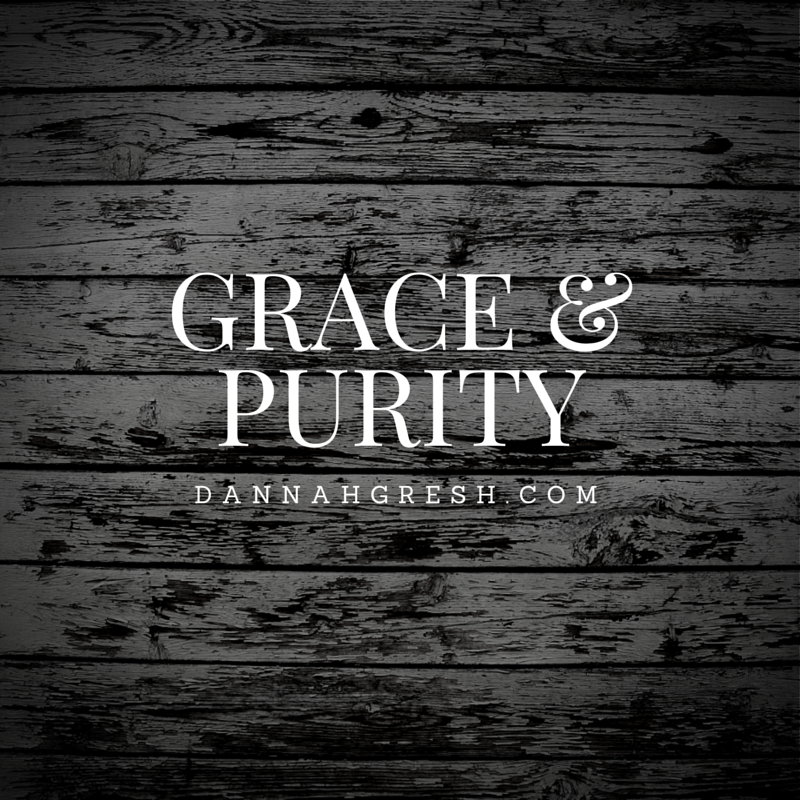 Dannah, thank you for sharing your heart and frustration! Your post brought tears to my eyes as I have been in that same shouting match and have seen God reveal Himself in such real and tangible ways. Amazingly humbling!! Praying with you for your family but also for the protection of God’s name as you minister! 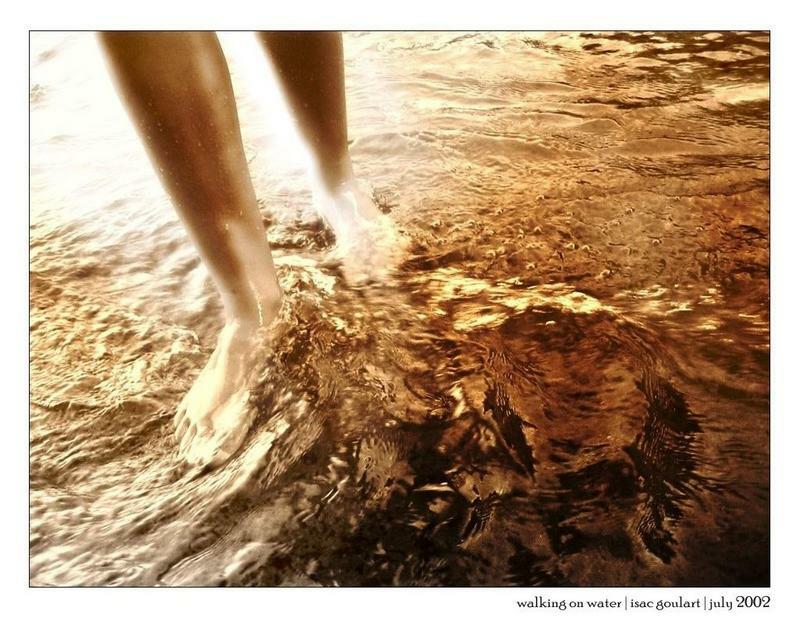 Let’s walk on the water together, my friend! Wow! Can I relate! My family has had 4 deaths in the last 9 months. I found myself having that same “shouting match” with God. It’s amazing how He sends us exactly what we need if we only look for Him. Praying for you! Thank you for sharing your heart! Oh sweet girl, MY PRAYERS will be directed to you this afternoon! Thank you for reminding me to rejoice. My precious Jesus is always enough, let me never forget! Prayers for you and your sweet family. I can’t imagine facing these situations, but Jesus can! 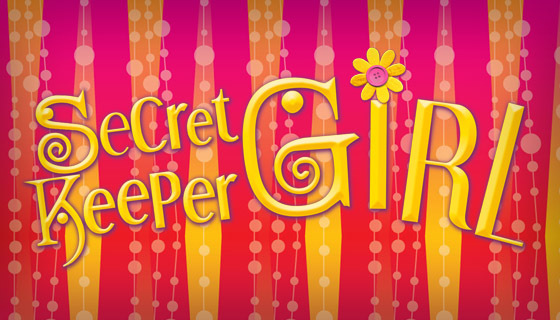 I also pray Our Mighty God will continue to receive glory through Secret Keeper Girl. Just want you to know that I have been there too – on more than one occasion in my life. I will be praying for healing, for strength, for peace and answers. You are not alone. Praying for you and for Bob and Lexi. May He continue to show you evidence daily of His great love for you. May He be your sustainer, and provider, and may seeking Him refill and refresh your soul. May your choice of contentment bring a harvest of peace. I pray for healing and protection for Bob and Lexi and for wisdom for all their medical attendants. He never calls us to be what we think He wants, but just what we are, where we are. Broken, hurting, and used up, He still loves and uses us. Prayers to you and your family. Has Lexi been tested for Lyme? I had similar undiagnosed symptoms such as hers that led to a Lyme diagnosis. I did not have the classic bulls eye rash that some people get. Most who test positive for Lyme do not have a rash. She should have a blood test and a Western Blot test. Maybe this will explain things. I normally do not comment but felt compelled. Prayers for healing to you and yours. Yep, tested for Lyme and just about everything else under the sun. I’ll check on the Western Blot. It is so awesome to have people share what is real in all of us and what blessing can be found in choosing to follow God. Resting is what He has been telling me these last couple of years. It is oh so hard but when things are out of your control you begin to know what true resting in His arms means. I am absolutely nothing without HIM. We have been through a lot as well….the main thing God is calling for in my heart through all of our journey is the desire to want to ALWAYS rest in Him. Thanking God for you. Praying for you. Will do Dannah! Thanks for being an awesome woman of God! I have had a screaming match with God this summer as well. was no match, not that it could ever be, but especially since I didn’t hang around for a response. I thought it was enough to give up pretending I was ok. I kinda stayed mad for a while, then only acknowledged it again, still refusing to stay quiet long enough to listen to his heart. As I finally surrendered today and sat in his presence, He spoke. And I couldn’t get past Psalm 18:28. Praying for your Lexi and husband. Oh what a great Bible verse. I am claiming Psalm 18:28 with you. As I walk in his truth and promises, there is actually a change in my being. My physical being as well as my spirit. He is good. He is God. He has us. He holds us. What a thrilling, energizing truth that is. It will be an honor lifting up you, Lexi, and Bob in prayer. The verse that came to my mind is Isaiah 42:16, “I will lead the blind by ways they have not known, along unfamiliar paths I will guide them; I will turn the darkness into light before them and make the rough places smooth. These are the things I will do; I will not forsake them.” Praying these truths for you…that He will shine His light and wisdom into the situation with Lexi and speak His peace to your momma-heart. Praying He will strengthen Bob more each day as well. Me and my family are joined with yours to pray. Healing will begin, and when you look back at this moment your testimony will bring others to Jesus. You are not alone! You are with Him who carries you through all storms of life! Be encouraged and praise his might name! He called you for the good works you are doing, in time you will reap a harvest, if you do not give up. Come to Jesus when you are tired and weary, allow his rest to fill you and make you refreshed and renewed, His presence to be soaked in, instead of your circumstances, allow the thinking of your mind to be on heavenly thoughts not what ” bad” thing has happen but what good God will turn this into. You are his precious daughter and He loves you be Encouraged and praise His might Name! Keep me posted on how God turned this all for His Glory . He is doing awesome work through you! Prayers during the storm are headed, now watch for the rainbow! Oh what great trials we face in this life and in the midst how great of a God we get to see. Praying you and yours see His marvelous power, grace, and peace in this time of upheaval. Romans 8:18 “For I consider that the sufferings of this present time are not worth comparing with the glory that is to be revealed to us.” Heaven will be so glorious and wonderful. May we look to His coming even more fervently as we endure the trials of this world. Thank you for all your hours of faithfulness to get the Crazy Hair Tour off the ground. My sweet girl has been impacted by it. For Lexi, checkout neurocardiogenic syncope and possibly a gluten free diet. Praying for answers, healing and His peace in the storm. Will definitely be praying for health, peace, and strength for all of you. Our God is good and faithful. Amen! So many times people think that ones like you in your position are just sailing by and enjoying ministry, however, the enemy works harder at trying to throw you off the path God has set you on because you are doing so much for the Kingdom. Thanks for being truthful(getting rid of pride) for it truly does set us free! God’s healing enables us to press on in adversity and allows Him to truly be our strength when we are weak! Your ministry is such a blessing to so many! Keep persevering and we will keep praying! I’m so with you my friend. I understand this season well as I’ve been in one like this for nearly 2 years. Praying & believing with YOU. Love you & the fam so very much. Thank you for a look behind the scenes and the ability to be able to pray for you. God is good. Dannah, I have read your books since I can remember. Thank you for being REAL … it reminds me I am not alone in this journey of life and neither are you. Your books have been an enourmous blessing in the country of Chile where I spent one year minstering. It’s on my bucket list to meet you one day. Jesus showed us his wounds, he did hide them from us, because we all identify with pain, doubt and suffering. I send love and prayers all the way from Washingon State. I release healing and strength for Lexi and for your husband. I also release peace, strength and assurance in the name of Jesus. God will make a way every time when we seem to find no way. It is on my bucket list to meet you one day!!! God bless you always and I support you and everything you do for God’s kindgom. I lift you up in prayer as you walk on the water!! Dannah, Thank you for sharing such honesty with us, about your difficult and testing summer. It could be so easy to write that everything is perfect and wonderful. This heart felt message touched me deeply, as I too have struggled with God, (like Jacob) I have been angry with God and have spent, on more than one occasion, shouting at God in the early hours of the morning. ‘Why have you forsaken me’. But your message took my eyes off my self centred-ness. As I thought about your summer and prayed for you and your family, I felt my faith returning. May God continue to bring blessing and favour to you and your family. May his healing hands heal through out your family unit. Know that your ministry is heard in Wales (UK). My daughter and I have enjoyed doing both your Dates books and tell our friends (Believers and non believers) of the books and your ministry. For as long as God requires it of you continue with this work, you are a blessing to us all. Maybe barf a little, friend. It’s great for the heart. What a blessing to be used in Wales. Would love to come one day! Love to you! Praying for God to let your wrestling with him be fruitful! Dannah, shedding tears and praying for you and your sweet Bob and Lexi. My husband had a stroke just a year ago at the young age of 45. I am praying for God’s strength to uphold you and His healing hand to come upon both Bob and Lexi. My husband has fully recovered to about 85% and was back teaching last year within one month of his stroke. It was a wake up call in many ways. I trust God will reveal His specific purpose in your lives in due time. Precious sister, we love you! Praise God for your husband’s recovery! I rejoice with you. So glad he allowed us to walk through their healing with them! I’ve been thinking the past couple days if I should tell you this or not, but I feel like God’s prompting me too: Have you had her tested for P.O.T.S? Here’s an video about it by my Mayo Clinic Dr: http://www.youtube.com/watch?v=iJ9bv7jx-Ls I have it too, and the symptoms sound VERY similar. It’s something not a lot of Dr’s know about so is rarely tested for. Hope this can help. God Bless!! It’s been a week since you posted this and I pray that the crashing waves have returned peacefully. The devil attacks the faithful. Put on the full armor of our Lord and carry on. He will continue to bless you and your ministry, both public and private. I have been wondering how you are doing. I am praying for complete healing for your husband and daughter. I’m so sorry about your trials! I will pray for you and your family.